Digital Sentinel | Need help with Computers and IT? Need help with Computers and IT? Want to learn new skills or need help with computers? 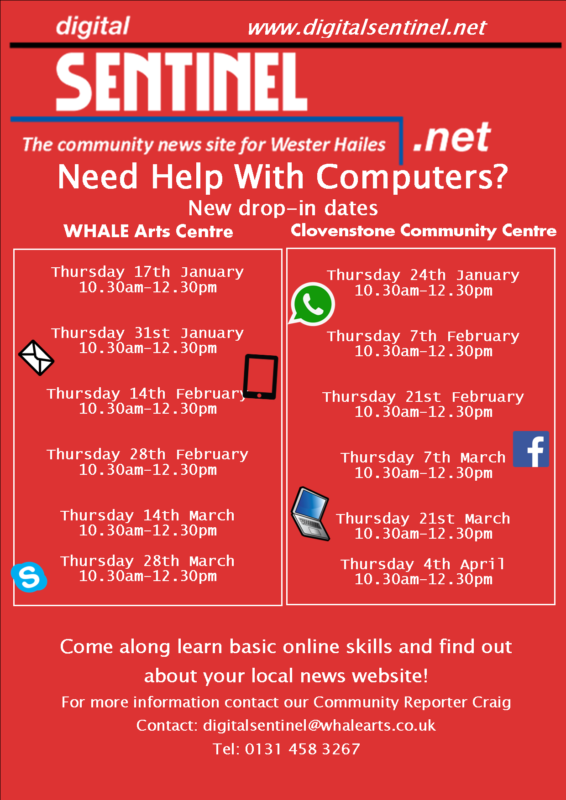 The Digital Sentinel will be holding an IT drop in session at WHALE Arts Centre tomorrow Thursday, 14 February 2019, 10.30am – 12.30pm. There is no need to book and people are free to stay for as long as they are able. Come along and find out how you could share your views, news and even become one of our community reporters! If you have any questions or would like more information contact Craig at digitalsentinel@whalearts.co.uk or 0131 458 3267.